One of the best parts of having children is seeing the world again, for the first time. It sounds trite, but every parent that watches that first encounter with a new thing – a puppy, a rabbit, a swing set – knows the feeling. The little face lights up, the eyes widen in wonder, and, if our experience is anything to go by, the parent’s heart wells over with joy. Travel is an opportunity to experience dozens of great new family moments, but not all of those experiences will be full of wonder and joy. Travelling with children can be fun, but it brings with it challenges, for parents and children, that can take the peaks off of the highs, and pull the lows even lower. Not to worry though, with a little preparation, mental and otherwise, you can set you and your loved ones up for a successful, manageable holiday – complete with all of the cherished highs (and the occasional lows) that come with family travel. These tips can help. You’ve been on a lot of holidays in your time, and you know what to expect. Your children probably don’t, especially if they are very young. Last year’s holiday might even have faded from their memories already, so helping your child to know what kind of experiences are coming up can do a lot of good for keeping anxiety levels lower and increasing confidence. 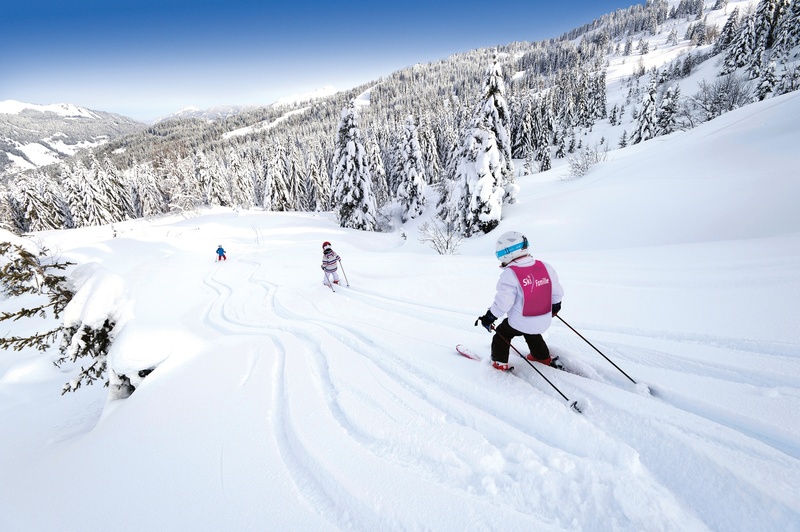 Get your children into a skiing holiday mindset by stimulating their imagination. Your child should hopefully absorb information in a controlled and enjoyable setting, similar to playing with dolls or Lego. As the parent, you can have certain goals in mind; the children can just have fun. Are you going to a new country? A colder climate? Work information about the resort it into the play. Build an area you might see, have some characters who speak a new language, and see where it goes. You don’t need to be strict or even overly realistic. Children are wired to mimic parents and older siblings, so a lot of valuable information will get picked up in subtle ways. Above all, the play will ease anxiety, and confidence will increase. Will you be flying or using our Eurotunnel Flexi ticket option (self-drive)? Let children know what’s coming and, even if they don’t have the experience to picture it very accurately, they’ll at least know that you are in control and knew what to expect. ‘See, there are the mountains we talked about!’ can be more than just pointing out a beautiful scene; it can also signal to a child that all is as it should be, even if strange and new to them. Children are largely powerless, but they’re used to that. What gives them confidence is the knowledge that a trusted adult is on hand and taking care of the things they don’t yet understand. You’re a superhero to them, and they think you can handle anything – especially if you show them your own confidence. Anxiety is exhausting, so this general atmosphere of relaxed confidence means a longer day of fun, and more energy to roll with things that don’t go quite as planned. Our travel section has more information on your options to get to and from resort. If your child is old enough and capable of skiing with you, you’ll need to plan ahead on how he/she can contact you and where to go for help if they need it. Ensure your phone has a roaming plan, even if you don’t intend to use it. Teach your child your phone number and role-play how they could ask someone for the use of a phone. Make sure they also know how to decide on someone to ask for help. A family with children is usually a good bet, as they will understand what kind of panic the parent will be experiencing, and will have some experience comforting frightened children too. Singing your phone number to a familiar tune, like London Bridge is Falling Down, or Twinkle, Twinkle, Little Star is a great way to make this activity fun and to make sure the numbers stick in the memory. If they’re old enough, knowing how to write it down is good too. Finally, make sure they know where to find the information, in case they are too stressed or upset to remember or speak – pointing to a tag on a coat or belt might be more manageable than talking to a stranger. The world is a very big place to such a little person. A little preparation will result in your children (and hopefully you) having more energy for travel, maintaining a more positive attitude, and will be able to deal with the normal inconveniences and novelties of staying far from home. Bringing everything you can think of may seem like a good idea at first, but the personal exhaustion of hauling around masses of extra luggage will quickly drain you of energy and positive attitude. Choosing the right things to take and to leave behind is a key part of minimising effort while still preparing for general needs and possible crises. Here are a few categories to consider. Clothing should be versatile and comfortable and not prone to wrinkling. Pack extra thermal underwear, comfortable clothing for resting in the evening and comfy shoes for travel and relaxation – those little feet will need it after the first day in ski boots. We’d also suggest you don’t wear belts for the flight, to avoid everyone having to remove and replace them amid the rush and crowd of the security check area. The time of year – and luck of the draw – can make a big difference on what kind of weather you’ll be facing. As well as the cold weather clothing (warm coats, mittens, hats, thick socks), you might want to include lighter jackets, sunglasses and sun cream for ‘bluebird (sunny) days. Even on warmer days, though, the wind can be very cold on lifts and higher up the peaks; better to have a warmer coat with a zipper lowered than to be cold and unable to do anything about it! Mittens are warmer than gloves, and neck tubes are less risky than long scarves that might get tangled in lifts or branches. Bring extra underwear and socks, but in most cases après-ski jeans can be worn more than once, so there’s no point in taking up too much space with spares. Winter sun can burn too, especially at higher elevations, so pack sunscreen and make sure everyone uses it properly. Dark sunglasses or tinted goggles are also a good idea. There’s a travellers’ saying: ‘Bring half as much stuff as you think you’ll need… and twice the money.’ You don’t have to take these words at face value, but understand the spirit of them: if you need anything in case of emergency – major spills at a mealtime, plasters, cough medicine – all of what you need will be available from local shops. 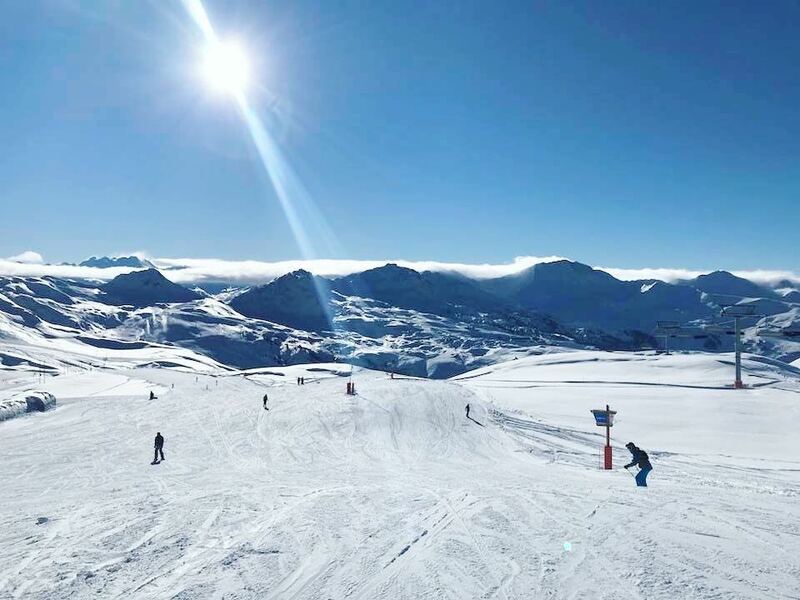 Our chalets do come with toiletries for the family, but if you require more all our resorts have nearby shops that’ll supply further bathroom items, so consider leaving those at home too. Do, however, bring water bottles (empty ones if you’re flying) and snack containers (great for travel and once on the slopes). Items for comfort don’t have to be big. Snacks, a blanket and a small pillow can make a massive difference to the comfort of a trip. Add to this a little treat, like a favourite game on a phone or tablet, and the hours travelling will go by much more quickly – for all of you. Video subscription services like Netflix now offer downloadable videos as well, so you don’t need to pay for expensive access or use up your mobile data. Choose some favourites before the trip, download to the device and a few hours of handy backup entertainment is at your fingertips. For little ones, familiar and reassuring choices are better than new ones. Banish boredom – A little screen time won’t detract from the hours of great outdoor fun they’ll have once you get to the resort; it might even facilitate them. Last minute rushing is a killer of enthusiasm and a harbinger of anxiety and frustration. Give yourself the gift of a positive start to your holiday: Organise the luggage the night before you leave. If your car is in a garage or safe place, you might want to load it the night before. If not, then load up the hallway, each item ready to be rolled out into the taxi or car, quick and easy with no fuss. Perhaps most importantly, get a good night’s rest. You’ll be excited, as will your family, and you may have some last-minute things to get sorted, but as much as possible, get an early night. Add an early morning to that early night, and you’ll thank yourself for it. Be the first one up, take a moment for a cup of something warm, and prepare yourself for the day. You’ll be the one holding things together through the rush and stress of travelling to the final destination, so give yourself the best chance at keeping calm and reassuring – even in the face of delays, close connections, and other inconveniences of travel. Have a satisfying, simple breakfast ready, so you won’t be adding hunger to the mix. If it’s quick and easy to clean up, that’s even better. 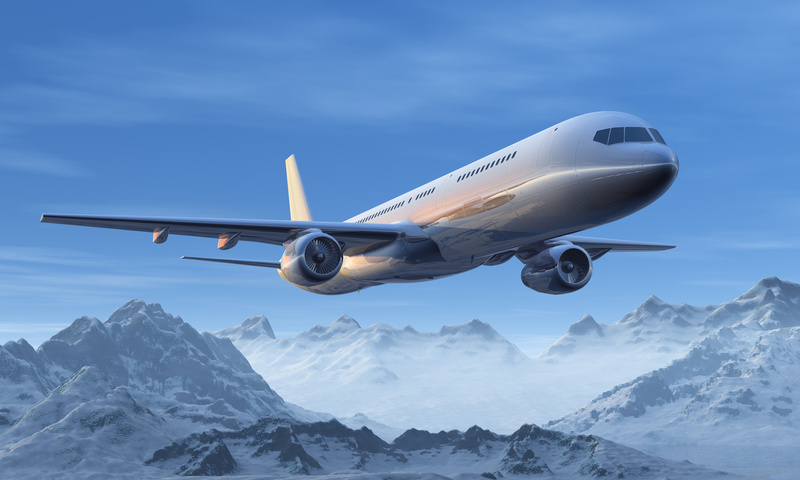 Leave for the airport early, check in as soon as you can, and have a relaxing meal or snack before boarding. Rush kills calm, and calm is what you want, so leave plenty of time for everything you need to do. One adult should be responsible for the whole families’ passports – and if there’s a choice, you probably know already which adult this should be – so you can hand them all to the proper personnel when the time comes, and collect them all afterwards. Quick and simple. Designate beds in the children’s room first so children have a sense of their own space right from the beginning. Let them explore the room or take a minute to rest – whichever suits the particular child. Some time for them to get familiar with their new surroundings will mean a better night’s sleep for everyone. Unpack first. Set up toiletries, hang your coats, stow your footwear, and place other items in drawers. Living out of your suitcase may be most convenient at first, but it gives a sense of transience and disorganisation – and children are used to permanence and to things having a certain place. For a child, having his or her own drawer is a special thing, and can change overwhelming strangeness into a fun adventure. Even seeing the mysterious bottles and sprays grown-ups use will have a calming effect on little ones; you’d be surprised what they notice. These little things have big impacts. Your temporary home base should be secure and familiar. Once you’re settled into the room, work your way outward. 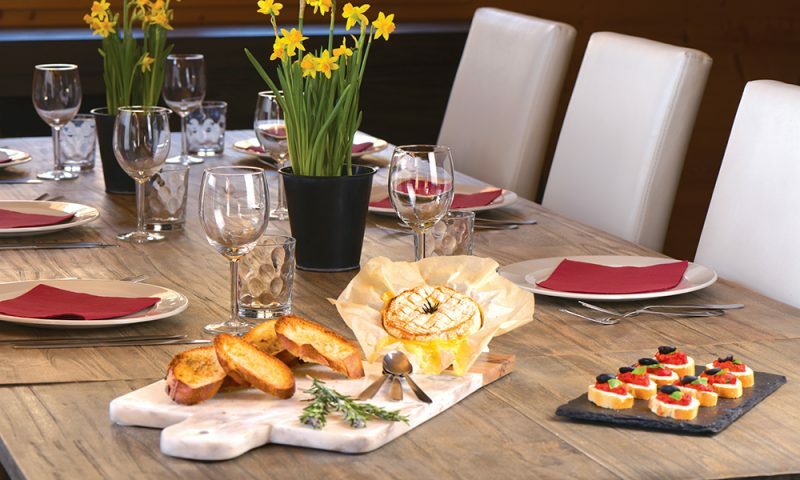 Explore the chalet next and ask our friendly and passionate chalet team if you have any questions. The focus can shift on the following day to the slopes, learning to ski, and having even more fun and adventure. The chalet will be home for your stay, and returning to it should be a reassuring and restful experience for you and your children. Schedules may seem too much like regular life to include on a holiday, but our advice is to allow a little of it, as this will reduce stress and increase relaxation and enjoyment for the whole family – and that’s the core of what holidaying should be about. Designate a meeting place, a central spot where everyone can meet up if you get separated. If your children are old enough to ski on their own, designate a time for you all to meet up. The best places are the ones with a seating area and that serve snacks or hot drinks. You might be waiting for some of the group to finish a run, or realise they’ve lost track of time – waiting is easier when there’s something on hand to do. Rather than pin-point a time, it is usually best to agree on something like ‘Be at this coffee shop, between 11:00 and 11:30.’ That way, you won’t be panicked if some of the group are a little late. It can be difficult to gauge the passage of time when fitting in runs, not to mention losing track of time altogether. Setting alarms on watches or phones is a handy trick too. Don’t overdo it the first day. In fact, don’t overdo it at all. You may know how to pace yourself, but your children won’t, and the last thing you want is for them to cry that they don’t want to ski the second day! 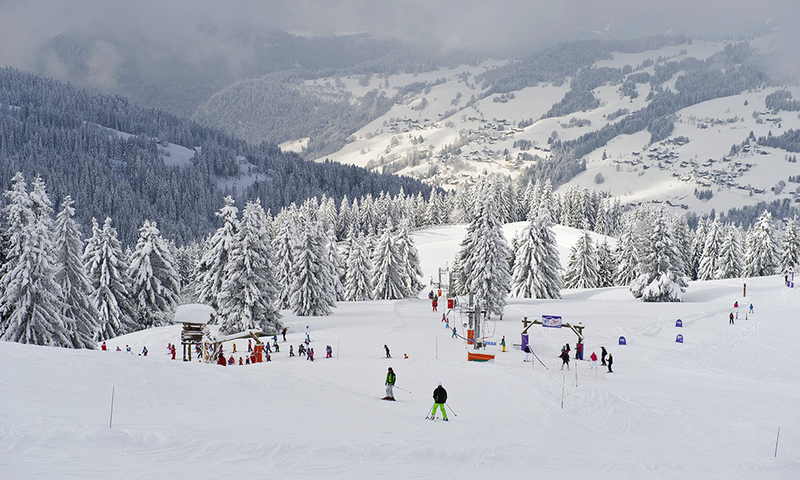 A couple of hours on the slopes is enough for your first session. Do that, then take a long, unrushed break to talk about it, laugh about falls and mishaps, and imagine new challenges and memories to come. If you can do a little stretching during this time, that can’t hurt either. When you’re ready, hit the slopes for another couple of hours and repeat the process. Half an hour in the room in the middle of the day may be difficult to prioritise, but it can be telling. Often children will be running on the high of new experiences, and exhaustion can creep up beneath the surface and later explode. If, after a half an hour of quiet time, everyone is still awake, then feel free to head back out to the slopes. If little eyelids close, however, let them catch a good nap and then head out when they wake up. We suggest music or a podcast rather than TV, as it allows children to close their eyes and not feel as if they’re missing anything. TV and movies can keep them straining to stay awake, and can mask the signs that they need a short sleep to refuel. Even active kids will be using neglected muscle groups when skiing, much more than they normally would. Avoid soreness and injury by easing into things, stretching and resting at regular intervals. 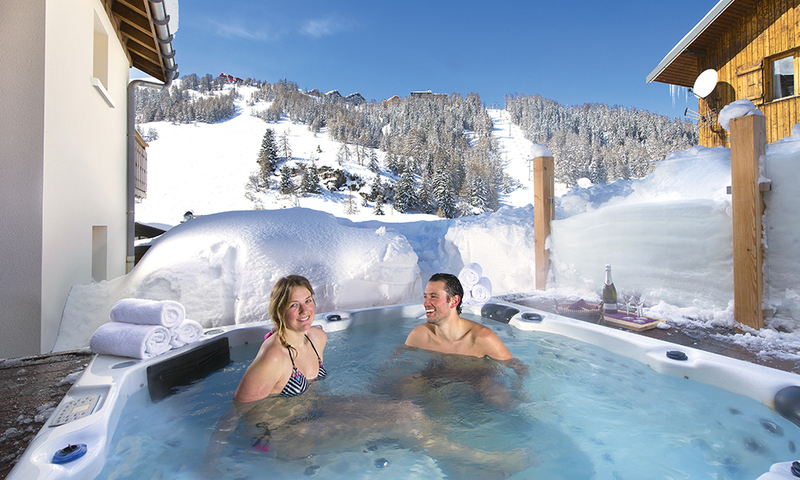 Find time to make use of your chalet hot tub to help with any aches. The world is a lot to take in, and a new place, sightseeing and riding lifts amid crowds and unfamiliar machinery. Add to that the pressure of learning to ski (possibly under the watchful eyes of family members). It can be a lot for a child or young person to process. Make sure you set aside time for resting. It can be in the room, the chalet playroom or games room. As long as it is a normal activity, something relaxing or familiar, that will allow some confident play in secure surroundings. A little TV in the evening is not a bad idea either (or make use of the cinema rooms in our chalets in Les Bruyeres, 3 Valleys). Limit it, sure, but don’t feel the need to ban it. Remember the overall principle: mix in the familiar with the unfamiliar, and you’ll help your children to feel secure and safe in their new environment. So far, most of what we’ve covered is what parents can do for the children to get what they need, but that’s only half of the story. You need to relax too and we therefore recommend making the most of our childcare and babysitting service. 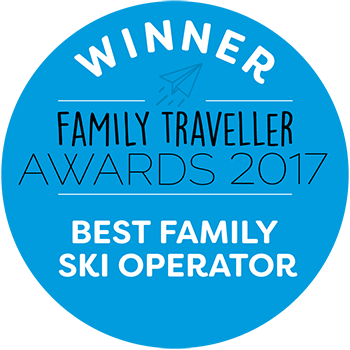 Our babysitting service is available 6 nights a week across all of our chalets, allowing you to explore the local après ski scene or simply taking a break from the parenting role. Babysitting is available at 12€/hour/carer and can be arranged through your Resort Manager. Alternatively, you could take turns looking after your child or children. Set aside some time for one adult to take charge. 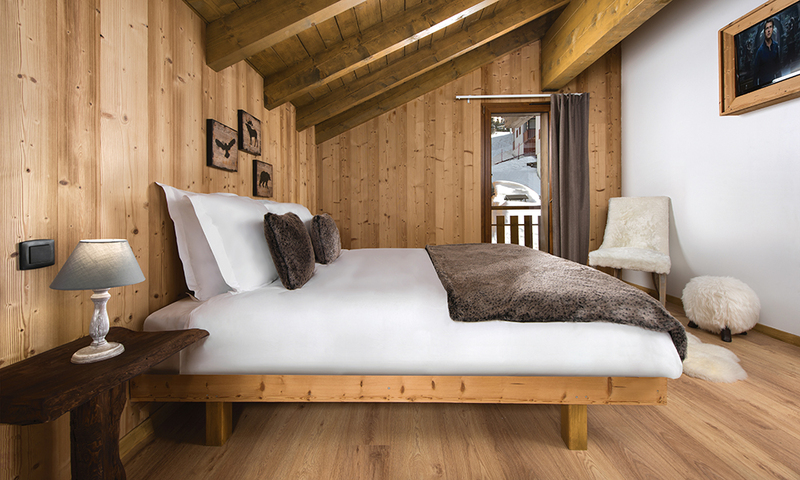 Enjoy some ‘me time’ by having a massage in your chalet through Massage Me or by simply enjoying a long nap. Dive into that novel you’ve been meaning to read. Wander the village market or mall, and linger over a cuppa. Whatever it is that means ‘relaxation’ to you, do it. Recharge. If you’re the only adult on the trip, it’s going to be difficult to do this and we’d highly recommend the babysitting service option. If you choose not to, then do your best to adjust this advice to suit. 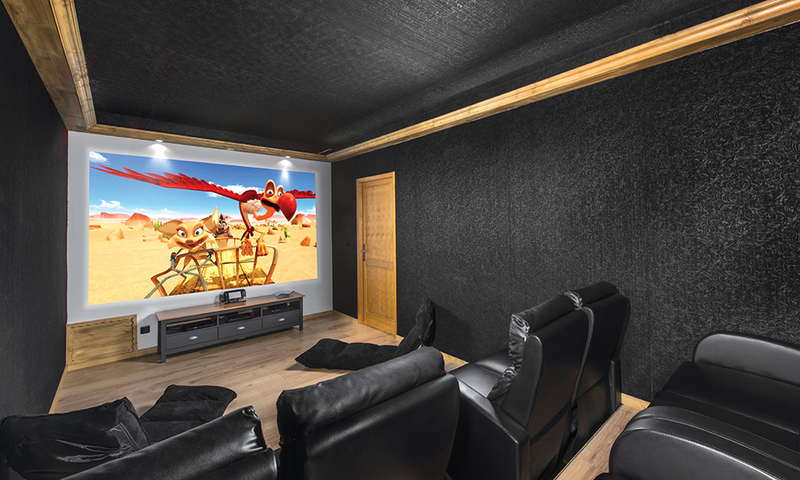 Let the kids watch a movie while you take a long bath, or enjoy a hot drink and a snack while they run around a play area, or take a ski lesson. If they’re old enough, you might want to step out for a run or two on your own. Whether you’re responsible on your own, or part of a team, don’t burn the candle at both ends and wind up having a meltdown of your own. The refreshed adult that returns to your children will be a lot more fun than the version of you that is tired, tapped out, and ready to break. With the mountains conquered, the goals reached, the faces tanned and wearing that special combination of satisfaction and weariness… it’s time to go home. To make the trip go as easily as possible, repeat the preparation you took before leaving – at least in broad strokes. Pack up the night before, laying out the clothing each person will wear for the trip and going through the room to make sure all toys and treasures are gathered up and packed. If the idea of leaving is upsetting, promising a treat afterwards can lighten the mood and keep focus on the fact that the holiday hasn’t ended yet. 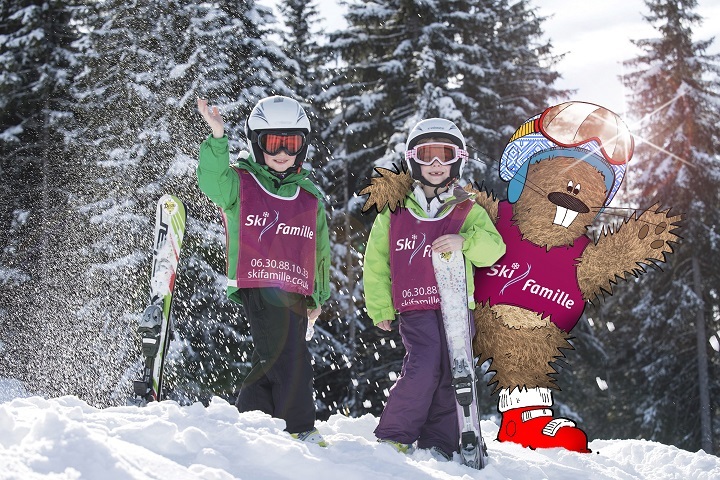 For children booked into ski school, this treat may be your child collecting his or certificate at the end of the week. 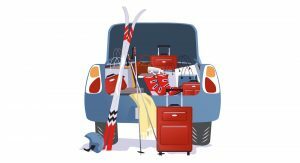 On the final morning of your Ski Famille holiday, ensure you’re fully packed before breakfast. With all of the boxes ticked, the meal can be a breather for parents in preparation for herding children onto your transfer, through security checks, and all that comes with the trip itself. A final tip? Step out at some point during the trip, buy each child a special snack or toy that you reveal during the transfer to the airport or once on the plane. Providing paper and colouring materials to have them draw Monty the Marmot or their favourite moments of the trip often works well. This treat will give them a sense of the trip home being special too, and not just a marker that the fun has ended. Your trip back, and your arrival, should hit that sweet spot of thankfulness that you’re home, satisfaction that your holiday was a success, and a feeling of recharge and value for money. You’ve forged another great family memory and strengthened the bond between you and your children and you’ll be looking for your next winter fix. This much preparation may seem intimidating, or even exhausting, but if you can put in the effort before your holiday, it will allow you more control once on your holiday. The highs will still be highs, but you’ll minimise the lows, and even avoid many of them. That’s the idea, after all, to give yourself time away from home to enjoy some relaxation with your family. Bon voyage, and have a great time.